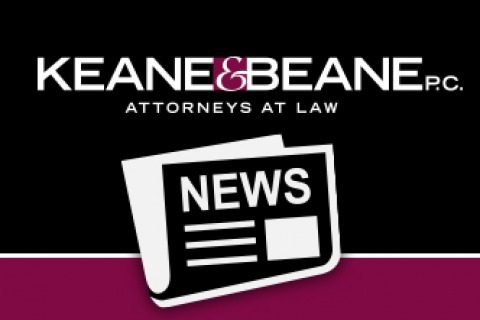 Gray, Jennifer L. “Keane & Beane – Building Strong Communities.” Westchester County Buisness Journal/Fairfield County Business Journal/HV BIZ, August 31, 2015. O’Rourke, Richard L. and Phillips, Edward J. “Riverkeeper v. Planning Board of the Town of Southeast: The Court of Appeals Reminds Lower Courts Not to Second-Guess SEQRA Determinations.” New York State Bar Association Journal, July/August 2008. Phillips, Edward J. “Didden v. Village Of Port Chester: For Now, Broad Judicial Deference To Local Governments’ Exercise Of Eminent Domain Powers Remains The Rule.” New York State Bar AssociationGovernment, Law and Policy Journal, Spring 2007. O’Rourke, Richard L. “Variance Applications and the Zoning Board of Appeals.” Westchester Bar Journal, 1985. Schurkman, Steven A. “Elder Law Q & A: An Introduction to Aging Issues and Planning for the Future.” Written under a grant from New York State Division of Criminal Justice Services, this guide is widely disseminated throughout New York State through the continued support of the Pace University Women’s Justice Center in collaboration with the Harry & Jeanette Weinberg Center for Elder Abuse Prevention at The Hebrew Home for the Aged at Riverdale, NY. Longo, Ronald A. Contributing Co-author to Public Sector Labor Law and Employment Law. Albany: New York State Bar Association. 1998.